The Simons Foundation is pleased to announce that Leslie Greengard, a distinguished mathematician and computer scientist, will join the foundation as the founding director of the Simons Center for Data Analysis (SCDA). Greengard holds an M.D. and Ph.D. in computer science from Yale University and has been on the faculty of the Courant Institute of Mathematical Sciences at New York University since 1989, where he is professor of mathematics and computer science. From 2006 to 2011, Greengard served as director of Courant, and he will continue to serve as a part-time member of its faculty. He is a member of both the National Academy of Sciences and the National Academy of Engineering. One of Greengard’s major scientific achievements, jointly with Vladimir Rokhlin, was the development the Fast Multipole Method (FMM), a mathematical technique with an enormous range of applications, from chip simulation to molecular modeling and systems biology. In 2000, the Institute of Electrical and Electronics Engineers recognized the FMM as one of the top ten algorithms of the twentieth century. In 2001, Greengard and Vladimir Rokhlin received the Steele Prize for Seminal Contribution to Research from the American Mathematical Society for this work. 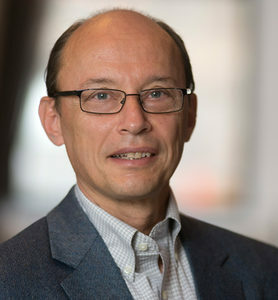 In addition to his research contributions, Greengard co-founded MadMax Optics, which developed advanced numerical algorithms to solve complex engineering problems in optoelectronics. At MadMax Optics, Greengard served as the chief executive officer and chief technology officer between 2001 and 2004. As SCDA’s director, Greengard will build and lead a team of scientists committed to analyzing large-scale, rich data sets and to developing innovative mathematical methods to examine such data.